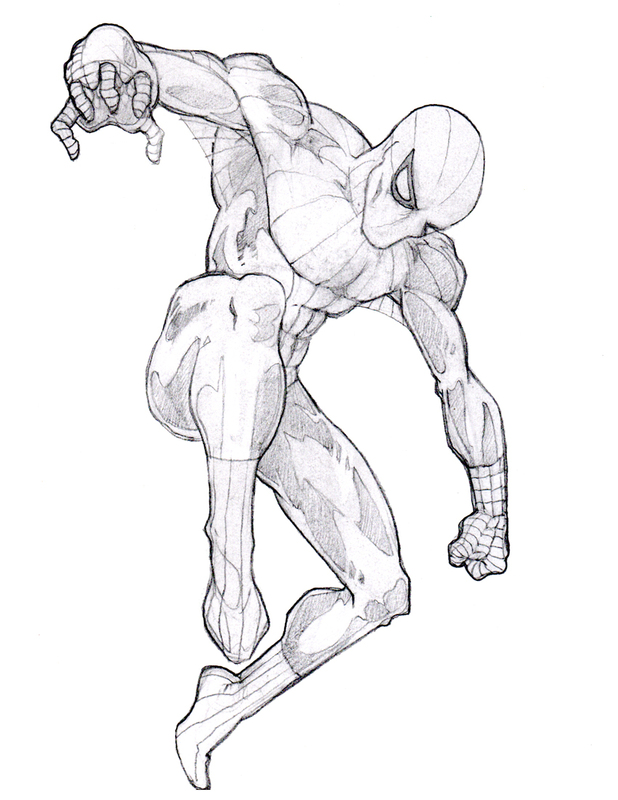 Pencil sketch of Spider-Man in action! WIP = Work In Progress. H2 pencil on 24lb paper. Artwork while drinking a Peanut Butter Blendito at Coffee Bandits in Merced.